Vegan activists have published an interactive online map showing the locations of hundreds of dairy farms across England and Wales. The map, created by Project Calf, is part of a campaign by the organization to expose unsavory practices within the dairy industry. It follows a similar map - featuring 6,000 factory farms and slaughterhouses in Australia - being published by Dominion director Chris Delforce. Project Calf says 24 male (or bobby) calves are killed every hour. It calls on people to use the information published in the map to document animal suffering on these facilities via 'citizen journalism, peaceful protesting and outreach'. "Locate a dairy farm using our maps," it says. 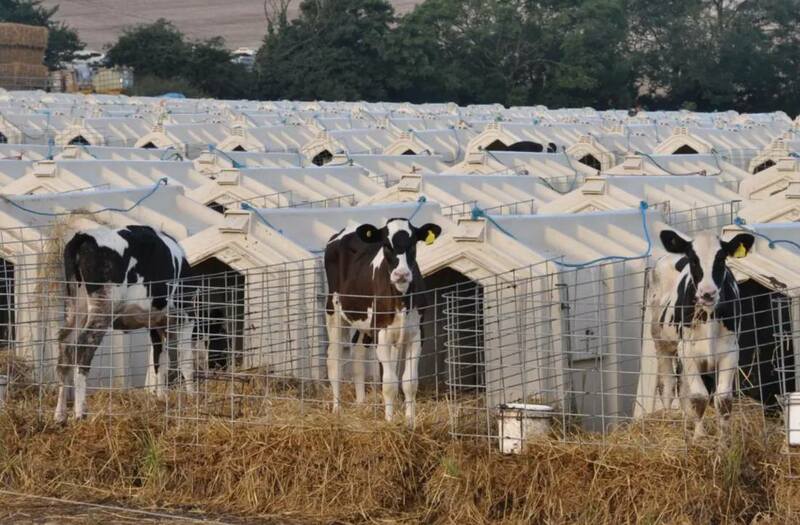 "Using public footpaths, obtain the footage of the cows and separation pens. Talk to the farmers about dairy practices. Let the farmers know their dirty business is everyone’s business!" Farmers have responded to the map with fury - with one, Sally Reedman, branding it 'absolutely scandalous' and will 'destroy people's livelihood'. "It's absolutely disgusting- the website is full of incorrect facts too." she added. "Our oldest cow is 18! We are on the map and b***y locals in the village sharing the FB page and the website into local spotted and selling sites. ‘Cheers for that, make us a target...Everyone is welcome to their opinion we'd just like them to have true accurate facts before they make them." Speaking about the original Australian map, Chris Delforce, told Plant Based News that sharing this type of information is essential in fighting animal abuse. "We believe in freedom of information as a powerful tool in the fight against animal abuse and exploitation," he said. "We believe consumers have a right to know of the existence, location, and operations of these businesses. We believe whistleblowers have the right to a platform where their anonymity can be respected."